Hotel Zlatý kľúčik is located in Nitra Zobor. Attractive facilities, professional service and long-term experiences create ideal conditions for unforgettable moments spent with us, as well as the success of any event. Complementary services include a sauna, solarium, massage, whirlpool, fitness center and soon they will be added to the new wellness center. 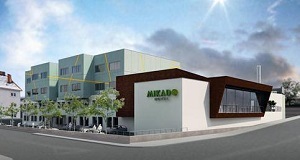 Mikado Hotel is located in a completely renovated and receiving building which housed the former model for cooperative manufacturing. It includes accommodation, conference hall with a capacity of 150 seats with the latest technology including booths, for smaller business meetings, Executive Lounge with 20 seats and relaxation area. Accommodation capacity consists of 45 rooms and suites classified into three categories. 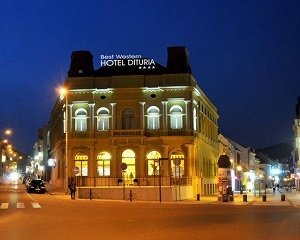 The exclusive hotel Alexander´s, situated in the very center of the City of Nitra, offers its guests a possibility to enjoy the unique atmosphere of the settlement around the Castle of Nitra. This modern and elegant hotel will surprise its visitors by a combitaniton of comfort, quality and unique services. 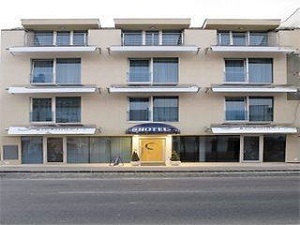 GOLDEN Hoffer hotel offers accommodation in a renovated hotel, which is situated in the center of the City and is considered the gateway to the pedestrian zone. The hotel has undergone a complete inner variable and also restore its original exterior appearance. Enjoy carefree comfort of luxurious past with the luxury of expressing contemporary lifestyle. The hotel is fully air-conditioned.